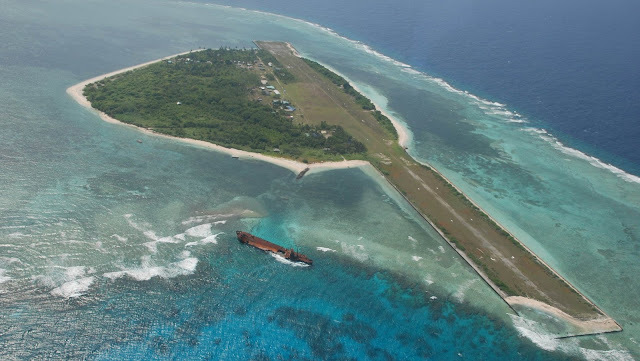 Plans to construct more structures on Pag-asa Island in the Spratlys would go ahead despite claims by China it was illegal, officials said on Thursday. But construction activities might take longer than expected as the government has to rebid portions of the construction project, Defense Secretary Delfin Lorenzana said. Lorenzana said that the government has an existing contract to develop the island, the biggest the Philippines controls in the Spratlys, but this might have to be renegotiated. “We are still preparing because apparently, many years ago, there was already a contract to repair [facilities on the island]. So, we are reviving the contract,” Lorenzana said. He said Luzviminda Corp., the company contracted to do the repairs, still existed and has said it was willing to undertake the project. “So they’re still [checking] if the price is right so that we can renegotiate the contract,” Lorenzana said. “This will apparently take time because we need some biddings again because we have to follow the requirements,” he added. During a visit to Pag-asa last moth, he said the government had set aside P1.6 billion to turn it into a tourist attraction and marine research center. Besides repairing the runway, the government was planning to put up a fish port, a radio station, power plant, desalination plant, and an ice plant, while the Bureau of Fisheries and Aquatic Resources will set up a marine research facility. Lorenzana said seven other islands in the Spratlys controlled by the Philippines would also get P20 million each to develop the structures there. National Security Adviser Hermogenes Esperon Jr. said he did not think China would actually block the country’s access to the area, despite raising a protest earlier. He said it was highly unlikely, since Manila had not tried to stop China’s activities in the other areas of the Spratlys. “They may block us there but my own assessment is they might not. We don’t block them in Fiery Cross, in Subi, in Mischief Reef. Each of them is 500 hectares,” Esperon told reporters. “And then they will say, ‘hey, why are you reclaiming the area? That’s dangerous.’ Meanwhile, you are already on the other side. You should be ashamed,” he added. Lorenzana also downplayed suggestions that the building projects would irk China, and insisting that other claimants, including Beijing and Vietnam, have also refurbished territories there that they claim. Meanwhile, the coast guard said it has begun conducting security patrols in waters near Benham Rise, a sprawling undersea region to the right of the country where Chinese survey ships were spotted earlier.